Simply Bespoke London | Commissioned Bespoke Cigar Humidors, Wine Rooms & Cellars. 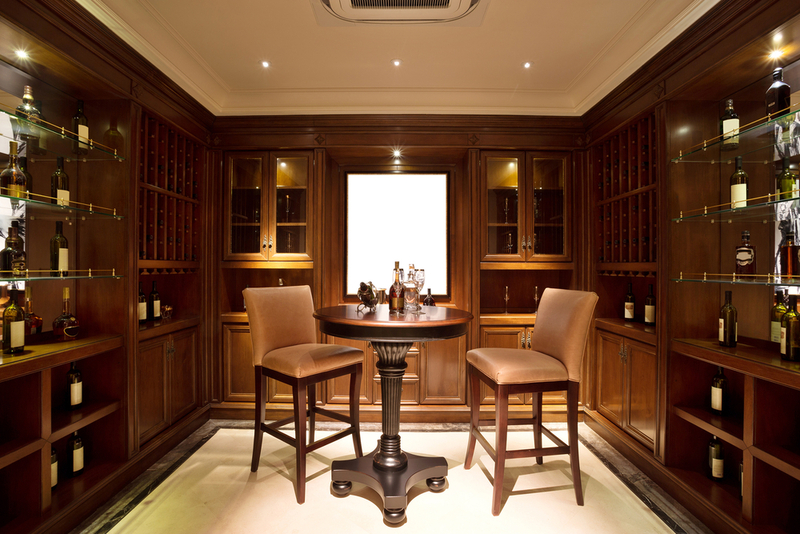 We design and manufacture commissioned bespoke cigar humidors, wine rooms and cellars. Simply Bespoke London manufactures its cigar humidors, wine cabinets, wine rooms and wine cellars using specialist craftsmen and cabinetmakers. The bespoke cigar humidors we design and make are the result of thorough research and are made using only quality materials. They are functional and feature innovations unlikely to be found in other humidors. We create bespoke home wine cellars, wine cabinets and wine rooms for collectors and enthusiasts. Our home wine cellars are the perfect blend of our constructional experience and respect for clients' individuality. 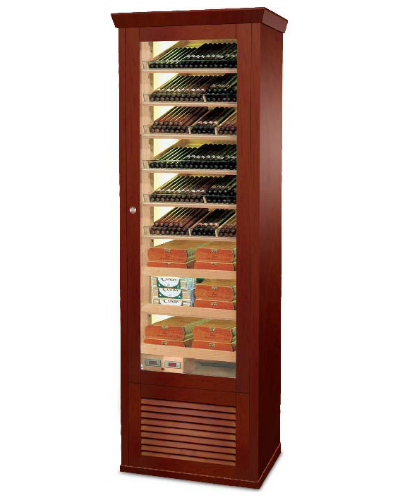 why not consider one of our range of ready made free standing cigar humidor cabinets. The lead-time is six weeks and they will be delivered straight to your door. 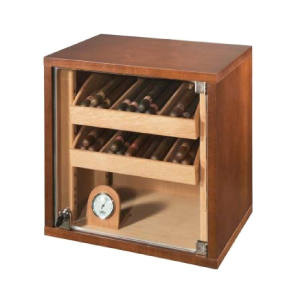 All humidor cabinets come with humidity controls designed to store and preserve loose cigars and cigar boxes. They are supplied with natural premium kiln dried Spanish cedar interior lining, removable and adjustable trays, bin dividers and sliding tray, double glazing glass and effective insulated wooden structure. Silicone door seal gaskets and triple lock system ensure excellent air circulation and constant humidity level throughout the humidor. Waterproof LED interior lighting and adjustable humidity unit with digital display included. Find out more about setting up and caring for your humidor. A stylish and sophisticated solution, using your choice of materials, fixtures and lighting. We create exceptional bespoke home wine cellars and wine storage cabinetry for collectors and enthusiasts of wine. Our home wine cellars are the perfect blend of our constructional experience and respect for clients' individuality. All our wine cellars are 100% bespoke, no modular racking is used. Racking is crafted by hand out of the highest quality hardwood, steel, bronze, perspex and glass, finished to suit your design. Find out more about wine storage. Why does wine benefit from decanting? 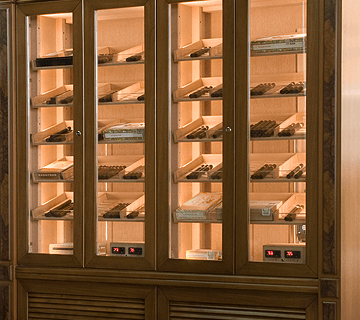 Visit Simply Cigars to see a complete range of ready made cigar humidor cabinets. This range can normally be delivered within 2-4+ weeks.